Arsenal have put one foot in the semi-finals of the Europa League after beating Napoli 2-0 in our quarter-final first leg at the Emirates this evening. Arsenal were on top from the first minute and we broke the deadlock in the 14th minute when Aaron Ramsey found the bottom corner following a superb move involving Mesut Ozil, Alexandre Lacazette and Ainsley Maitland-Niles. 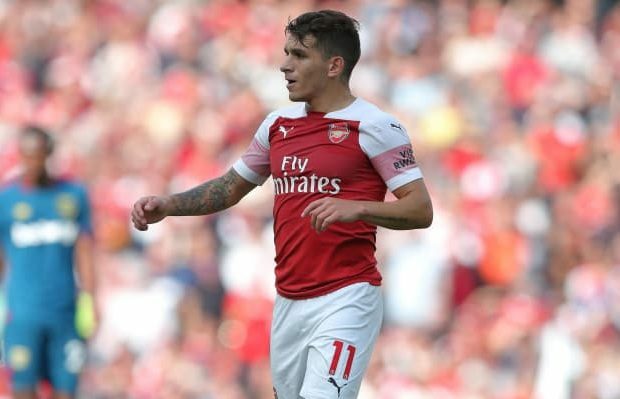 We made it 2-0 ten minutes later when Lucas Torreira’s shot from the edge of the area deflected off Kalidou Koulibaly and past Alex Meret. Arsenal had chances to score at least four goals but Napoli also had a couple of great opportunities at the other end so 2-0 is a very solid scoreline to take to Italy. Cech 6.5/10 | Didn’t have to do a lot in terms of shot-stopping but was solid off his line and did everything that was asked of him. Sokratis 7/10 | Solid performance from the Greek international. Dealt with the dangerous Napoli attack well. Koscielny 7.5/10 | Great to have him back and he put his body on the line to keep a vital clean sheet. Monreal 6.5/10 | Missed a great headed chance in the second half and was targetted by Napoli in the second half with balls over the top. Still put-in a solid display. Maitland-Niles 8/10 | Wonderful performance. 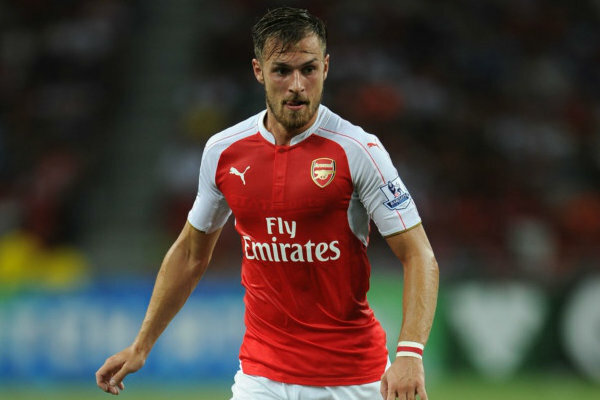 A constant threat down the right in the first half and set-up Ramsey for the opener. Made some great tackles and didn’t put a foot wrong at the back. 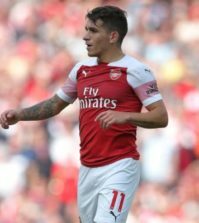 Torreira 8/10 | A terrier in midfield and made it 2-0 with a deflected effort after winning possession. Immense in the middle of the park alongside Ramsey. Ramsey 8.5/10 | Another superb performance and got the all-important opening goal. Nearly made it 3-0 with a powerful effort and bossed the midfield for much of the game. However, fluffed a golden chance to score another goal late on when he blazed over from close range. Let’s hope we don’t regret that miss! Kolasinac 6.5/10 | Was heavily involved down the left and got into some great positions but his final ball was poor and took too many touches at times. Ozil 8/10 | Superb in the first half. Worked his socks off, was involved in the opening goal and was a creative spark whenever he was on the ball. Subbed midway through the second half as Emery added fresh legs. Aubameyang 7/10 | Pace and movement caused plenty of problems, especially in the first half. Missed a great chance late on. Lacazette 7/10 | Involved in the build-up to the opening goal and saw plenty of the ball in the first half. Fluffed a decent chance to score but worked hard pressing from the front. Subbed. Iwobi 6/10 | No real impact after coming on. Mkhitaryan 6.5/10 | Saw more of the ball than Iwobi and teed-up Aubameyang for a good late chance. Elneny N/A | On late to shore things up.